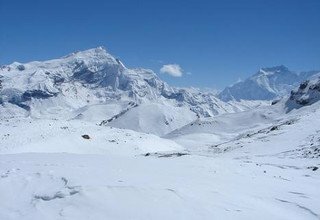 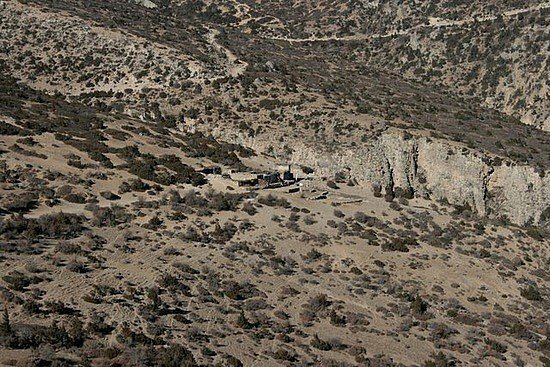 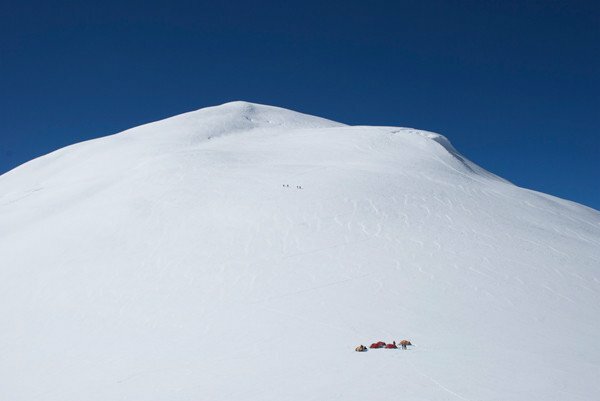 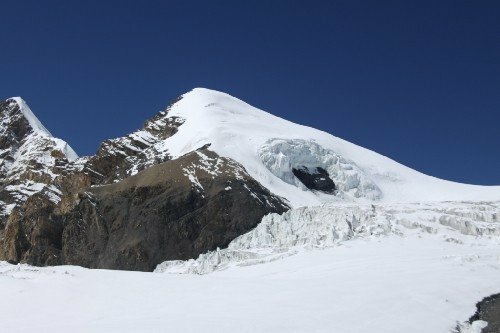 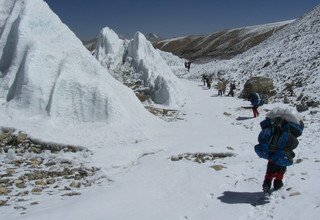 Saribung Pass Trek is one of the most challenging and demanding treks in Nepal that connects the restricted areas of Upper Mustang with the quaint Nar Phu Valley via the frozen Saribung Pass (6042m). 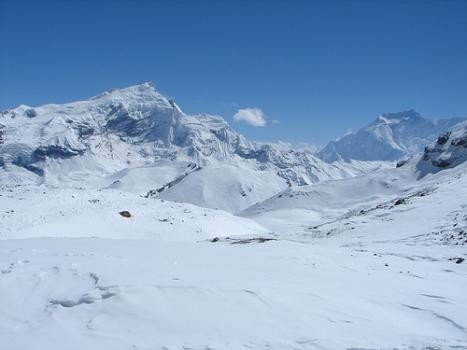 Saribung is one of the highest mountain passes in Nepal which offers a spectacular view of the Annapurna and Dhaulagiri massifs along with a close-up view of different Himalayan ranges of Mustang region. 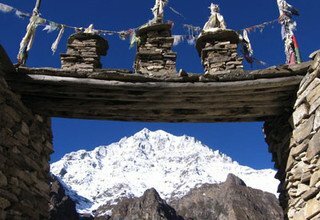 Apart from the spectacular view from the top of the tough pass, Saribung Pass Trek is packed with alluring landscape and one-of-a-kind culture of the remotest parts of western Nepal. 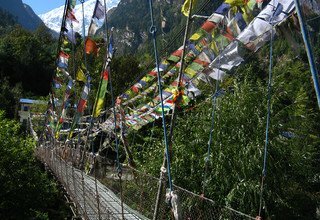 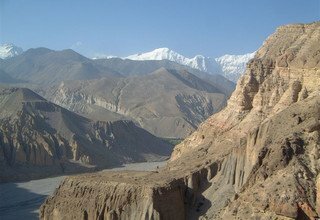 The 22 days long Saribung Pass Trek starts with a scenic flight from Kathmandu to Pokhara followed by another flight through the Kali Gandaki Gorge to Jomsom. 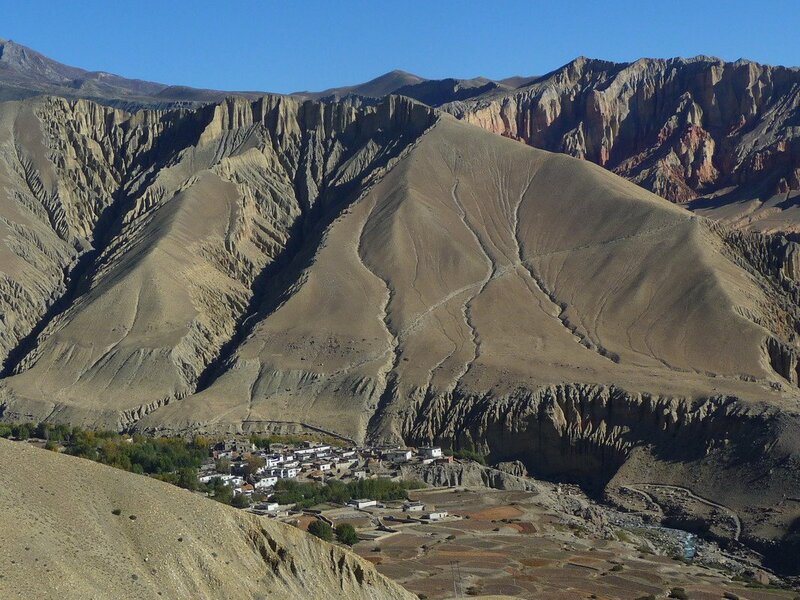 The actual starts with your arrival in Jomsom as you walk along the lovely Kali Gandaki Valley. 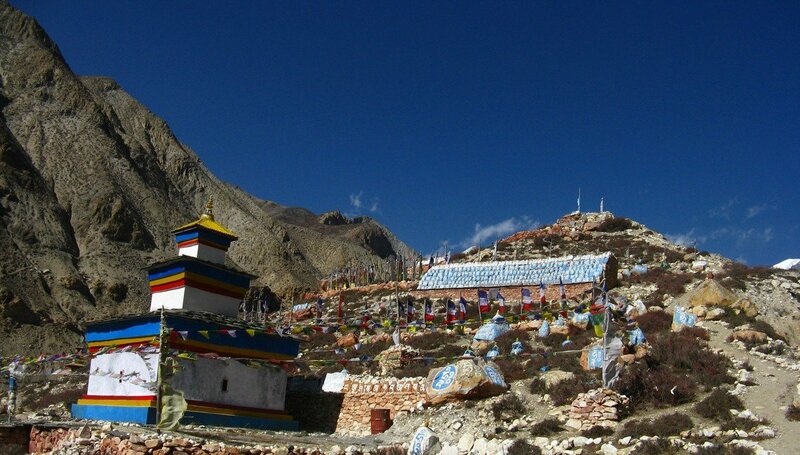 On the way, you pass some astonishing places like Kagbeni, Chele, and Geling to reach Lo-Manthang. 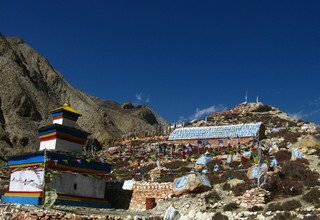 Lo-Manthang is the capital of the former Kingdom of Mustang, which allows you to experience a mixture of ancient Tibetan culture along with enchanting scenic beauty. 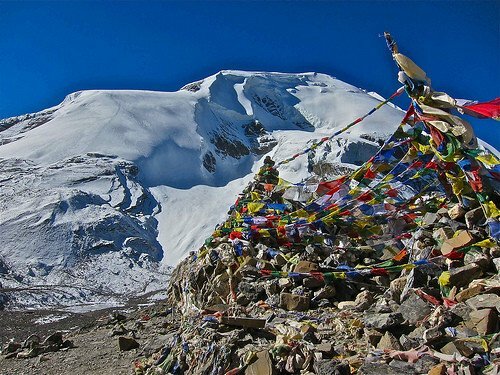 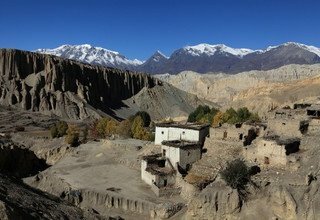 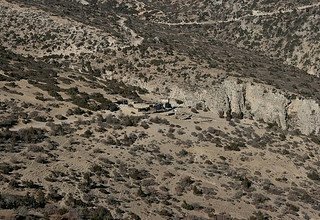 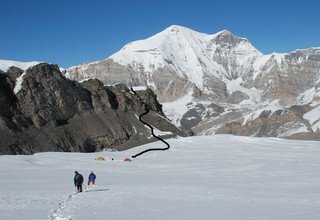 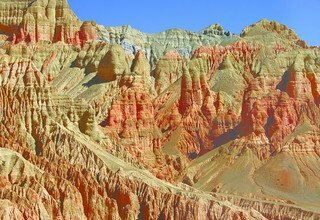 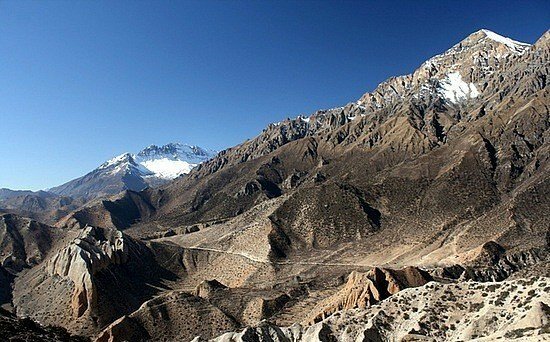 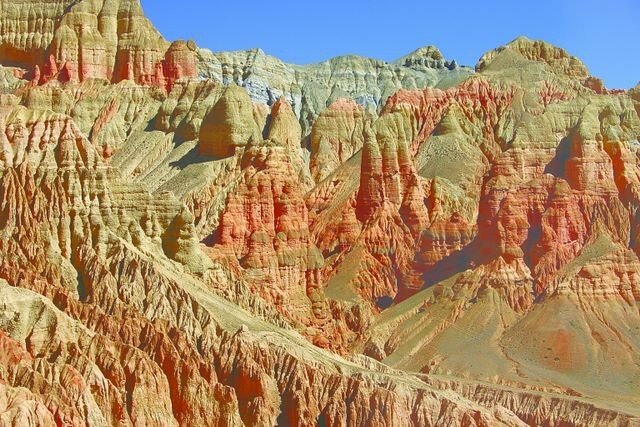 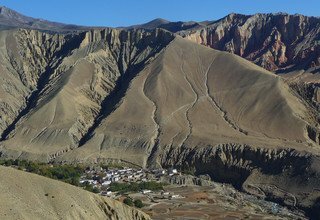 The trail, upon exploring Upper Mustang, moves on to Nar Phu Valley via Saribung Pass (6042m), which is frozen almost all year due to its positioning on the base of Saribung Peak (6328m). 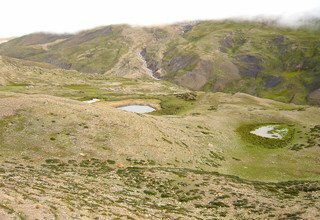 On the way to Saribung Peak (6328m), the trail goes via many extraordinary passes with ice and creases which makes this trek even more interesting. 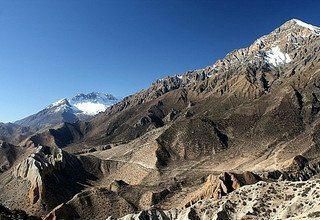 After a hard climb past Saribung Pass (6041m), the trail reaches the valley of Nar Phu. 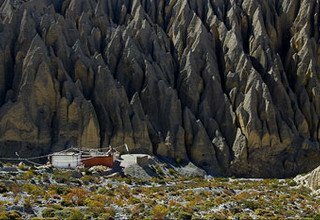 You visit the traditional village of Phu for a unique cultural experience accompanied by a breath-taking view of the surrounding peaks. The strenuous trek comes to an end as you leave Nar Phu for Jagat to finally head back to the capital city in Kathmandu. 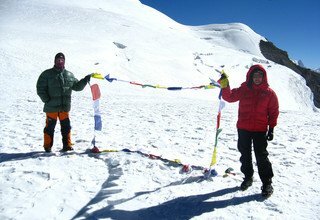 With Swiss Family Treks and Expedition, trekking in Nepal is easier and memorable as our Team of experts are qualified and friendly enough to make you feel welcomed in the lap of the Himalayas. 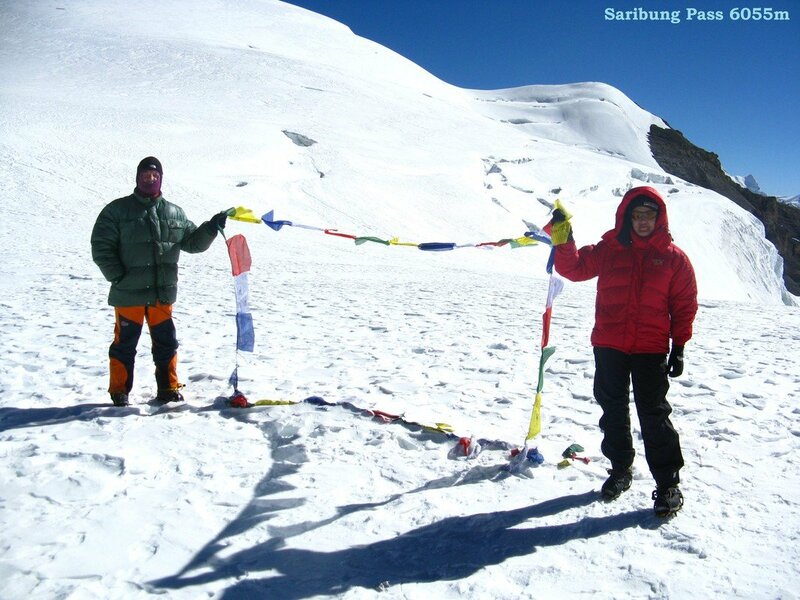 We acquire all permits for you and take care of your travel necessities. 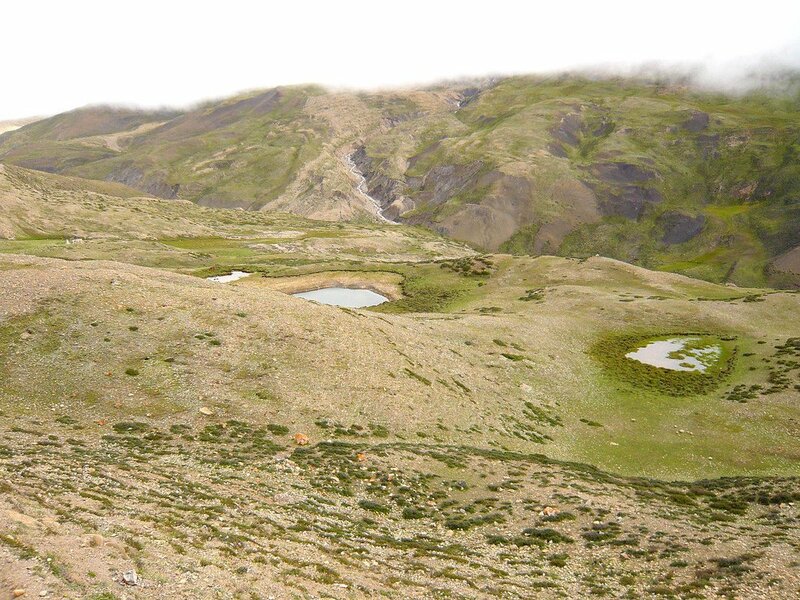 We also provide you with private four wheelers for all off-road drives during the journey. 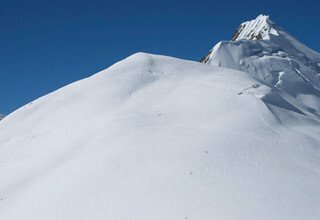 So, get ready to have the best time with us! 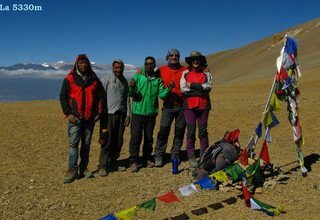 Relishing the view of Himlung (7126m), Nemjung (7140m) Cheo (6812m), Pokarkang (6372m), we trek from Nagoru to the ancient Phu Gaon in the Nar Phu Valley. 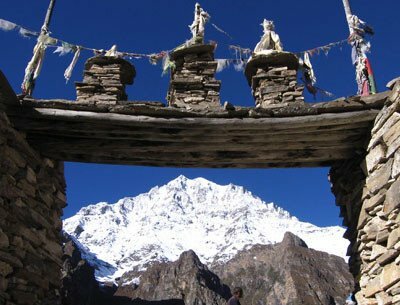 Phu Gaon is inhabited by people of mixed ethnicity such as Lama, Gurung, and Ghale allowing us to observe the traditional Buddhist culture and lifestyle. 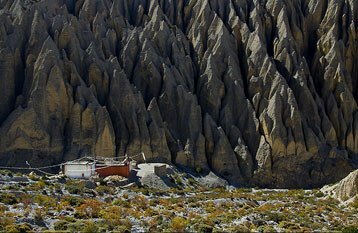 The very ancient Buddhist Monastery known as Tashi Lakhang Monastery in Phu Gaon is registered as one of the world's 108 great Buddhist Monasteries; it is believed to be one of the last monasteries built by Karmapa Rinpoche. 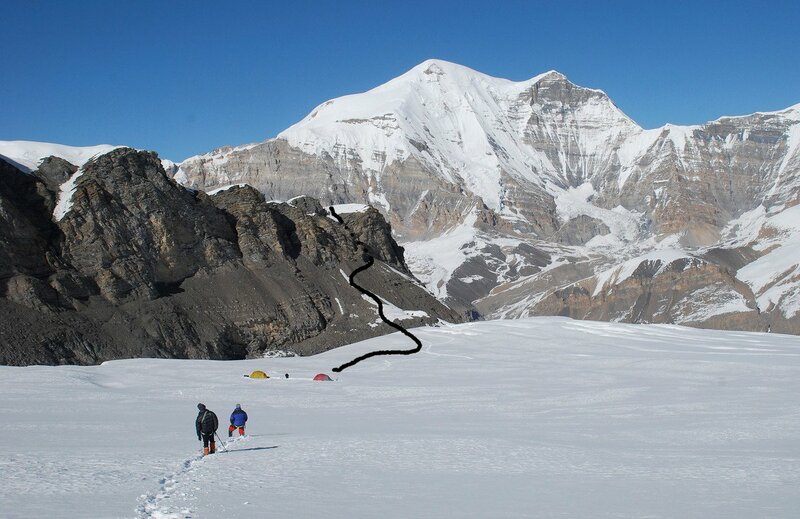 Overnight in Phu Gaon. 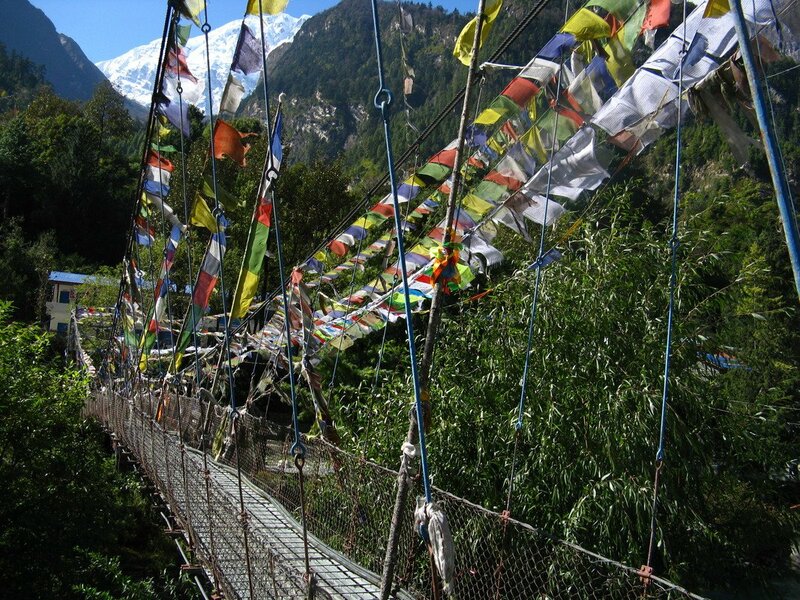 * 3 night accommodation with breakfast at 3* hotel in Kathmandu and hotel in Pokhara. 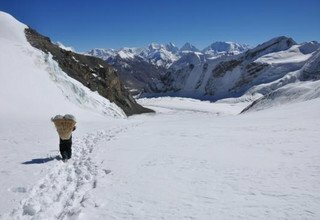 * 1 experienced, helpful and friendly guide, 1 cook and porters (1 porter for 2 peoples) Guide, Cook and Porters Salaries, Insurance and Equipment. 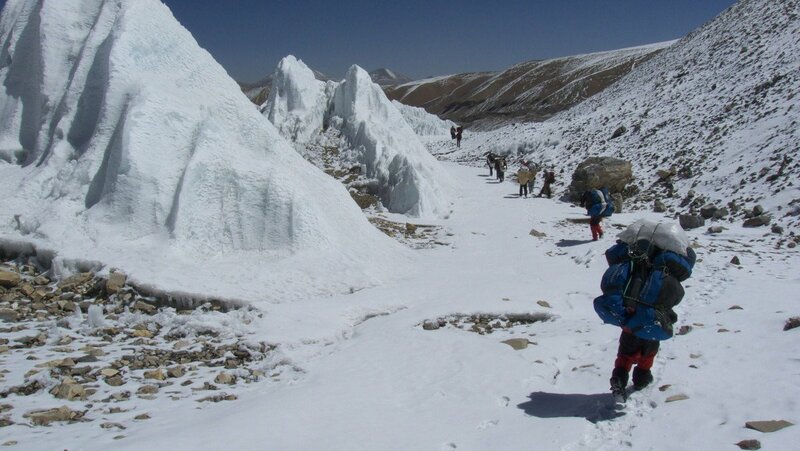 * Lodge to Lodge and partly camping accommodation during the trek. 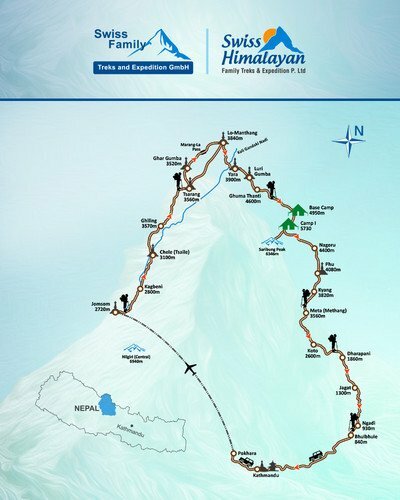 * All the domestic flights (Kathmandu-Pokhara-Jomsom) and airport tax. 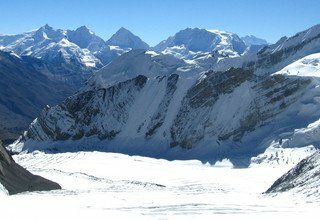 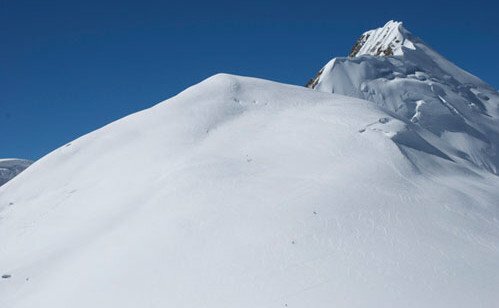 * Annapurna Conservation Area permit and all necessary permit (Tims). 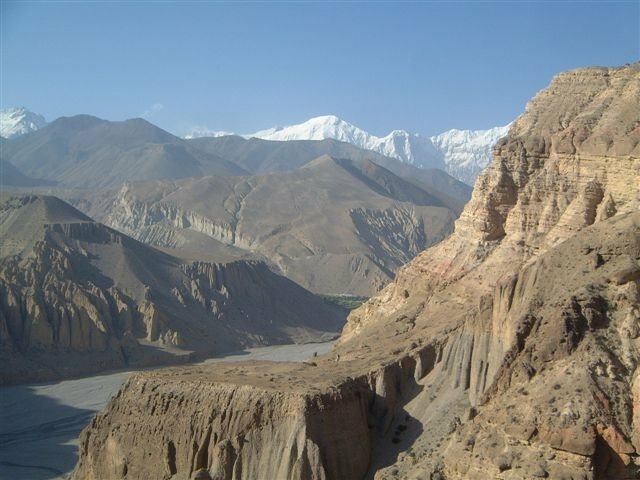 * Nar Phu Valley Restricted Area Permit.